There are a number of birth injuries and health issues that can cause neonatal brain damage. Labor and delivery complications, not timely delivering, poorly-managed maternal health conditions, mistreated or undiagnosed infections, and unindicated medical interventions (such as the misuse of delivery instruments or labor-enhancing drugs) can all lead to permanent brain injury in a newborn. In many cases, neonatal brain injuries are unfortunately associated with medical malpractice. Cerebral Palsy (CP): Cerebral palsy is caused by damage to the parts of the brain that control movement. By definition, it involves issues with motor control. Some people with cerebral palsy also have impaired cognitive function and seizures; an individual’s symptoms depend on the areas of the brain affected and the severity of the damage. Hydrocephalus: Hydrocephalus is a condition in which the baby’s brain ventricles swell due to an intraventricular hemorrhage (brain bleed) or another brain insult. In some cases, hydrocephalus can lead to permanent brain injury. Hypoxic-Ischemic Encephalopathy (HIE): Hypoxic-ischemic encephalopathy occurs when an infant experiences oxygen deprivation and/or limited blood flow to the brain at or near the time of birth. Lasting harm can be minimized if a baby is given therapeutic hypothermia within six hours of the hypoxic-ischemic insult (which often means within six hours of birth), but in many cases (especially when this treatment is not given) it leads to forms of permanent brain damage such as cerebral palsy and intellectual disabilities. Neonatal Encephalopathy (NE): Neonatal encephalopathy (NE) is a broad term for neurological dysfunction in an infant. Neonatal encephalopathy can stem from a wide variety of causes, including hypoxic-ischemic injury, infection, neonatal stroke, traumatic birth, and more. Neonatal Seizures: Seizures are involuntary jerking movements, which are caused by abnormal electrical patterns within the brain. They are often indicative of brain damage. Moreover, if seizures are not promptly addressed, they can also worsen existing brain damage. Periventricular Leukomalacia (PVL): Periventricular leukomalacia is a type of neonatal brain damage affecting white matter. It can lead to cerebral palsy, seizures, intellectual disabilities, and other issues. Premature babies are especially vulnerable to periventricular leukomalacia (and indeed to many other birth injuries and forms of neonatal brain damage). To learn more about neonatal brain injury, including signs and symptoms, causes, and treatment options, please click here. 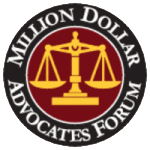 If your baby or loved one was diagnosed with permanent brain damage that you believe resulted from medical malpractice, your family may be eligible for compensation. This can help to cover the costs of expensive medical care, lifestyle adjustments, special education programs, and other resources. 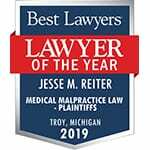 The award-winning attorneys at Reiter & Walsh ABC Law Centers have decades of joint experience with birth injury cases, and focus primarily on neonatal brain damage. To find out if you have a case, contact our firm to speak with one of our attorneys. We have numerous multi-million dollar verdicts and settlements that attest to our success, and you owe us nothing unless we win or settle your case.